To Native People, the drum is known at "the heartbeat of Mother Earth" and is a healing tool for feeling centered and balanced. Please join Tony Showa (Navajo) for a drum making workshop at the Eiteljorg Museum on Saturday, May 18. 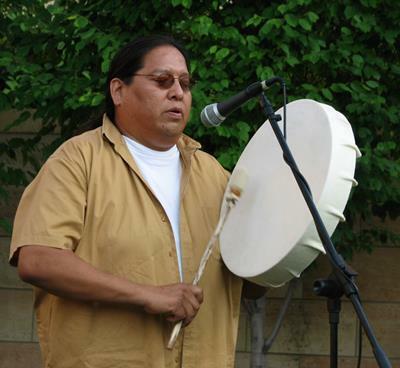 Showa will share teachings through Native American stories and songs, while leading you through the process of making your own Native American hand drum. Pre-registration required by Saturday, May 11. Supplies needed: Please bring a medium size towel and needle nose pliers. Supplies provided: The museum will provide scissors and sharpie markers.